Hop aboard a tram and take a narrated tour through forests and meadows teeming with American bison, Roosevelt elk, moose, bighorn sheep and woodland caribou. 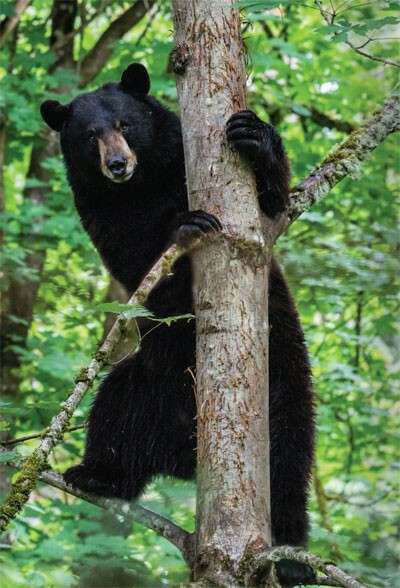 Stroll along forested and paved pathways past natural exhibits that are home to a grizzly bear, two American black bears, a cougar, Canada lynx, bobcats, wolves and foxes. Marvel at the antics of beavers and other wetland animals as they splash and explore a river area. Northwest Trek Wildlife Park near Eatonville is first and foremost a place to see native Northwest animals and enjoy nature. But it also has a very wild side for humans who want a bit of adventure. For an extra charge, visitors can test their mental and physical agility on the Zip Wild complex of thrilling zip line/challenge courses. Plus, there’s the newly opened half-acre, nature-inspired playground for kids, from toddlers to tweens. The $1.9 million Kids’ Trek is a wonderland that combines a replica of a hollow tree with nets inside for climbing, a net staircase, three fabulous slides, a meandering stream and a toddler zone complete with a sand play area and more. A “construction zone” allows bigger kids to build forts and other imaginative structures. The playground encourages kids to explore nature and learn more about the world around them as they play. Admission to Kids’ Trek is included in each ticket to the wildlife park. Northwest Trek recently celebrated its 40th anniversary and has long been a leader in the care and conservation of Northwest animals. Seasoned visitors know that the best way to savor the wildlife park is to see it several times a year, appreciating the changing seasons and the life cycle of the animals. Spring, summer and early fall are great times to see bison, elk and caribou calves, deer fawns and bighorn sheep lambs as they grow. Animals, adventure and a natural setting make Northwest Trek Wildlife Park a must-visit day trip. It’s an easy drive from anywhere in the Puget Sound area. When you enter the tree-lined drive, you just want to say “ahhhh,” slow down a bit and enjoy a day in nature. At Nisqually Red Wind Casino’s Seafood Restaurant guests enjoy the freshest catch in the Pacific Northwest, says Executive Chef Roberto Los Banos. The restaurant has quickly gained popularity among sushi lovers, as well as fans of well-presented traditional seafood fare. Featured on the menu Thursday through Saturday, sushi now attracts a number of regular guests, according to Los Banos. “The response has been very gratifying. Frequent travelers have told us that—from New York to LA—this is the best sushi they’ve ever eaten. They see how much love—how much “aloha” —goes into every meal,” says Los Banos, a native Hawaiian. 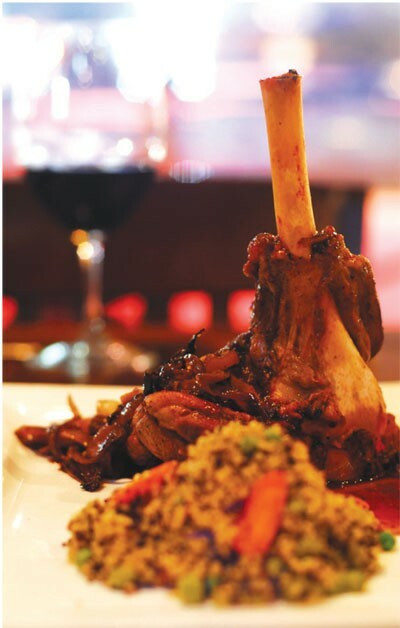 Another menu option that has grown in popularity is “Eventide.” This three-course meal is offered every Sunday through Thursday from 3 to 6 p.m. Eventide includes the choice of a starter, entrée and dessert. According to Los Banos, this weekday special gives his team the opportunity to treat guests to a high-quality meal at a very reasonable cost. While menu options and presentations have evolved over time, guests at the seafood restaurant can be sure one thing will never change, says Bob Darling, restaurant manager. “No matter what our chefs prepare, it’s never far from harvest to plate.” He adds that Northwest tribal fishermen provide the restaurant with the very best salmon and halibut. Produce is local and seasonal. Oysters and clams come from local shellfish farms, and foods not raised locally are carefully sourced from tribes throughout the United States. 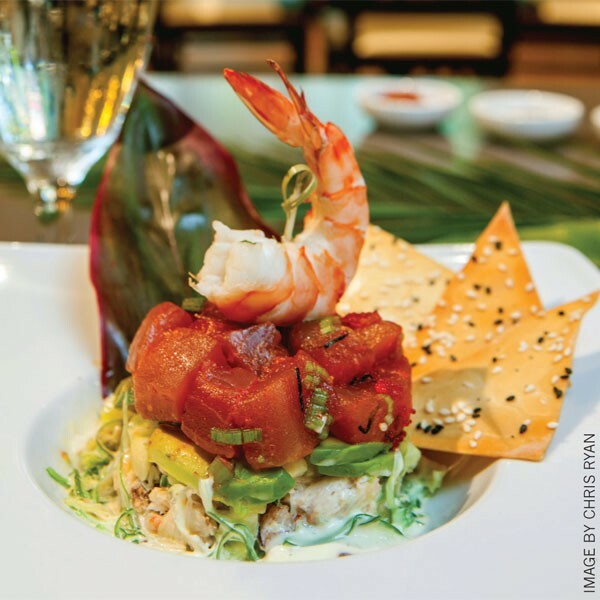 Nisqually Red Wind Casino’s Seafood Restaurant is a fresh option with beautiful presentations and sushi that serves up the love in an unexpected package. Walk into the beautiful dining room of this classic Thai restaurant in Tacoma’s Museum District and the experience is both grand and intimate. Polished wood, fresh orchids, and warm, natural textures are highlighted throughout the open, yet cozy restaurant space. But what you’re really here for is the food: a wonderful blend of authentic Thai flavors toned down and fused with Indian, Chinese, Japanese and American ideas. The sophisticated and stylish restaurant is actually an extension of a simple local Thai diner that opened in Federal Way in 1995. A decade later, owners Russel Brunton and Ly Ngov launched their downtown Tacoma restaurant and lounge, on property owned by the University of Washington Tacoma. What emerged is what Brunton describes as “Asian minimalist.” The most prominent feature is a chuckling, fountain-fed pond flowing from a luminous glass bowl and lined with gleaming wooden bench tables. The expansive restaurant has a seating capacity of roughly 200, but more private side sections also stand out. Intimate booths foster close-set, canoodling romance. The back tatami room provides quiet privacy. A platform pavilion, with elevated dining beneath gauzy peach-colored curtains, encourages conversation in an atmosphere of grace and warmth. Finally, a behind-the-bar event space provides a fresh blend of energy and Zen vibe. On the menu, there’s a lot that’s new for this season, along with yet another seating option. You’ll want to take advantage of sunny weather by enjoying the new sidewalk seating along Tacoma’s Pacific Avenue. Go-to Thai choices include curry, rice and noodle combinations and house specials. Familiar pan-Asian items that will satisfy include—well, anything. If you’re craving Thai, you can’t go wrong with the spicy Siamese noodles, which blend a flavorful basil-ginger sauce with thick, pan-fried noodles and beef, chicken, prawns or tofu. 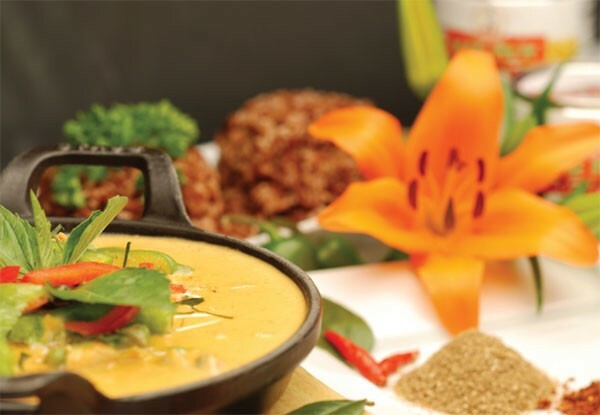 Gang curry brings to the table a plate of thick, coconut-creamy garlic- and chili-tinged gravy simmered over vegetables, with a splash of lime and lemongrass. Seeking seafood? Everything is top-notch. If you can’t decide, the honey walnut prawns have the perfect blend of sweet, crunchy and savory. Then there’s the paella-style Black Sea, with black Thai rice, sweet kala masala, and a snappy mix of scallops, calamari, crab and fresh prawns. There’s a quick-read wine and beer list too. New options include the very popular Drunken Buddha, the coconut martini and a host of local brews right on tap. New for this year is the lunch menu, with slightly smaller-than-dinner portions at one-third of the dinner prices. Vegetarian and gluten-free options are always available. Top off any Indochine Asian fare with the surprising homemade gelato, and you’re all set. 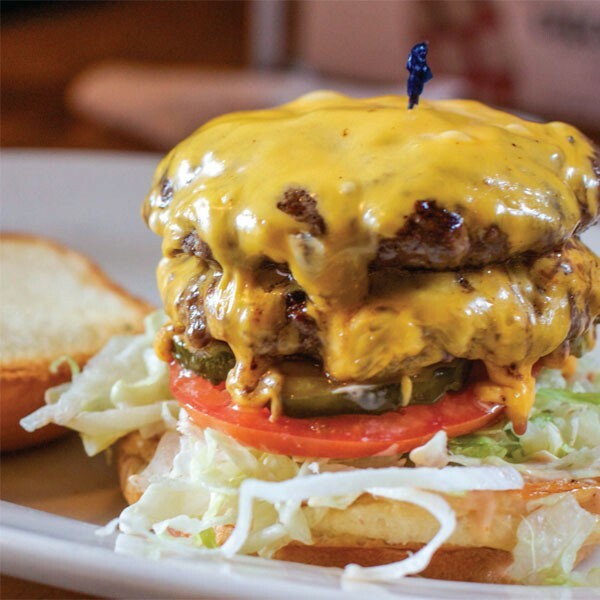 It may have been Crockett’s Public House, a chill-out, family-friendly American pub-style eatery, that kicked off the restaurant scene in downtown Puyallup. So says owner Shaun Broback, who also owns the popular Trackside Pizza. Like that local dining industry winner, Crockett’s has been a firestorm success from the get-go. Sliding out savvy cocktails and tap beers, not to mention luscious complementary American fare, Crockett’s has seen such demand that it’s launching its premier drive-through this fall, with a shortened menu of its delicious sit-down offerings. Set in a former historic feed store, Crockett’s has been a hit since its beginnings in 2011—so much so that high-voltage chef Guy Fieri featured the innovative gastropub on his Food Network smash Diners, Drive-Ins and Dives. That really stoked Broback. He said Crockett’s has been very well received by the community, which he characterizes as both unique and a great market that’s undervalued. New items on the menu this year include what the servers say is most popular: the tuna melt, built on chewy, Parmesan-crusted sourdough bread and slathered with melted Gruyère cheese. Standards like the chili burger and crisp-fried, onion-topped Mom’s Sloppy Joe, however, continue to fight for first-place rank in customer orders. So do breakfasts, served to crowds on weekends only, from 8 a.m. to noon. The four-page drink menu has been completely revamped as well. That’s a particular draw, as the gastropub offers $5 happy hour drink specials weekdays from 3 to 6 p.m. and all day Sunday. Other unique menu items include fire-grilled artichokes with Calabrian aioli, a thick-cut BLT with chips, hearty chicken and waffles with maple syrup and Louisiana hot sauce, Asian chicken salad, seafood chowder, and the famous Public House meatballs, sprinkled liberally with Parmesan and pistachios. If you want to kick back and enjoy a variety of terrific pub fare, invite family and friends to join you in the relaxing ambiance of Crockett’s pub-style setting, complete with exposed brick walls, cheery servers, light shining through big windows, stained-glass accents and lots of buzz. Or, if you’re in a hurry, just speed through the drive-through. Either route is an equally satisfying experience. Pacific Northwest Eye Associates was voted Best for 2016 for a high-quality and high-touch vision care experience in the South Puget Sound, with the convenience of two office locations. Formed in 1995 by experienced ophthalmologists Dr. Ted Baer, Dr. Richard Bowe and Dr. John Goodin, the group maintained a busy practice on South Cedar Street in Tacoma before building a modern 20,000-square-foot facility at the corner of Union Avenue and South 19th Street in 2011. Later the practice expanded to Gig Harbor. 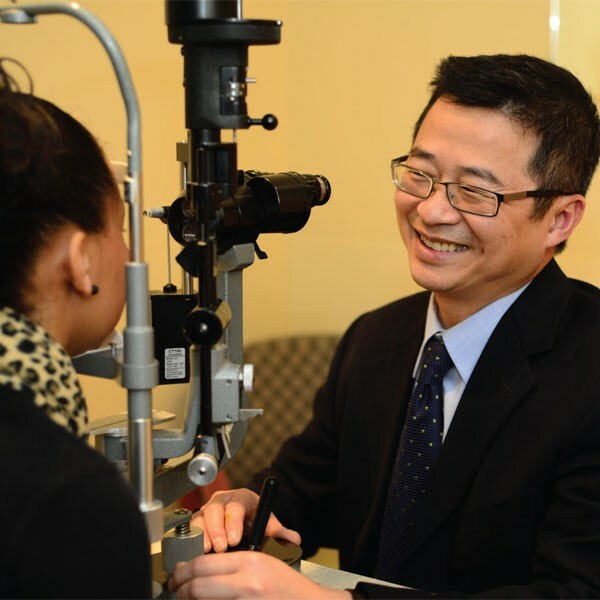 Pacific Northwest Eye Associates provides South Sound families with the latest in comprehensive and specialty eye care, from standard eye exams and optometry to treatment for conditions such as cataracts and glaucoma. According to Geoff Charlton, chief operating officer, the doctors and staff of Pacific Northwest Eye are dedicated to providing skilled, compassionate vision care to residents of the communities they serve. In each facility they strive to treat each patient as an individual, recognizing their unique needs and concerns. They are also proud to serve a diverse population, offering language interpretation in their offices for up to 12 languages. We can all agree on the ultimate qualities for a dental provider: round-the-clock service, free consultations, same-day appointments, entire family bookings, empathetic service and affordable care. It’s nearly impossible to find a full combination of such attributes. But then there’s Light Dental Studios. Based in Puyallup and dentist-owned – with seven locations, 18 dentists and more than 80 employees in the South Puget Sound —the company has customer service at the core of its mission. With hours from 7 a.m. to 7 p.m., including Saturdays, doctors available 24/7, free consultations, same-day appointments and entire-family same-day care, Light Dental Studios has the solutions patients need. Besides standard dental checkups, treatments and other services, Light Dental Studios offers on-site orthodontics, implants, surgeries and dentures. Children’s dental care is also offered, and the offices frequently schedule care for entire families side by side on the same day to save time. Capital Medical Center on Olympia’s west side is undergoing a $16.3 million expansion and renovation of its surgical department to better serve patients. When the project is completed in the summer of 2017, the medical center will have five brand-new, state-of-the-art surgical suites and two completely remodeled suites. The new operating suites will be larger to accommodate the array of medical equipment and technology used during surgeries. Physicians and staff will also have more space to work when doing procedures that require different positioning, such as hip replacements. Capital Medical has already installed new technology in anticipation of its expansion and remodel. An example is the Mazor Robotics Renaissance. This robotic-guided spine surgery system allows orthopedic spine surgeons and neurosurgeons to plan the optimal surgery in a CT-based 3-D simulation of a patient’s spine. During surgery, Renaissance guides the surgeon’s hand and tools to the precise planned location. Renaissance has been clinically validated to ensure accuracy of up to 1.5 mm for increased patient safety. Compared with freehand spine surgery, this translates to the best possible clinical results for patients, with less use of fluoroscopy. Minimally invasive surgery can mean smaller incisions, shorter hospitalizations, less pain and faster recovery for patients. Capital Medical Center is currently the only hospital in Washington offering robotic-guided spine surgery. 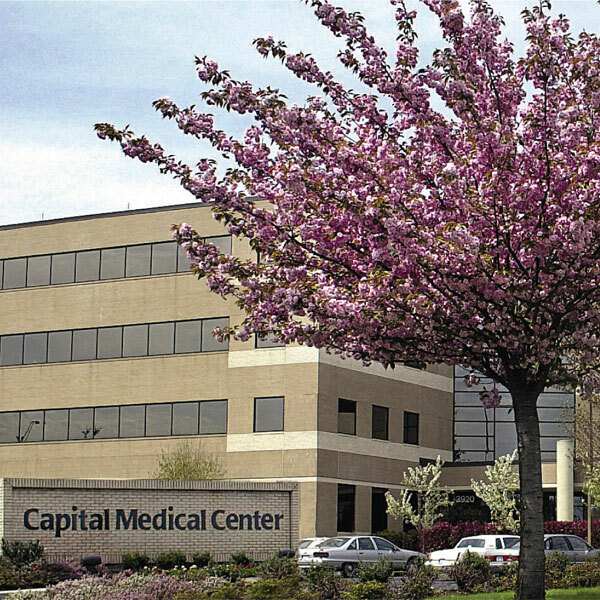 Capital’s expansion project will expand the footprint of the medical center by approximately 10,000 square feet. As part of the renovation, pre-op and recovery areas will also be improved to provide greater comfort for patients. A larger and more accessible waiting area for family and friends will be created, and behind-the-scenes spaces, including the sterilization room and locker rooms, will be made more functional. In a sign of the hospital’s excellence in joint replacement and spine surgery, The Joint Commission, the nation’s leading health care accreditation organization, has awarded its Gold Seal of Approval—one of the first in the state—to Capital’s Joint & Spine Center. This means its programs have undergone rigorous clinical review, and that patients can expect a high level of care when undergoing these surgical procedures. Anyone who has ever set out to redecorate knows what a struggle it can be. Whether it is one room or an entire home, the challenge can be overwhelming. With so many choices, colors and fabrics, it can be difficult to know where to begin. For local Pacific Northwest designers Juleen Pudists and Christine Kern, helping clients turn dreams into reality is what makes every project a unique adventure. Clients benefit from the two designers’ diverse backgrounds. Both highly creative with a love for architecture, they have experience with their own design projects and are skilled in both residential remodels and commercial projects throughout the Northwest. Working with contractors and homeowners alike, Pudists and Kern have a healthy respect for both sides of the building industry. 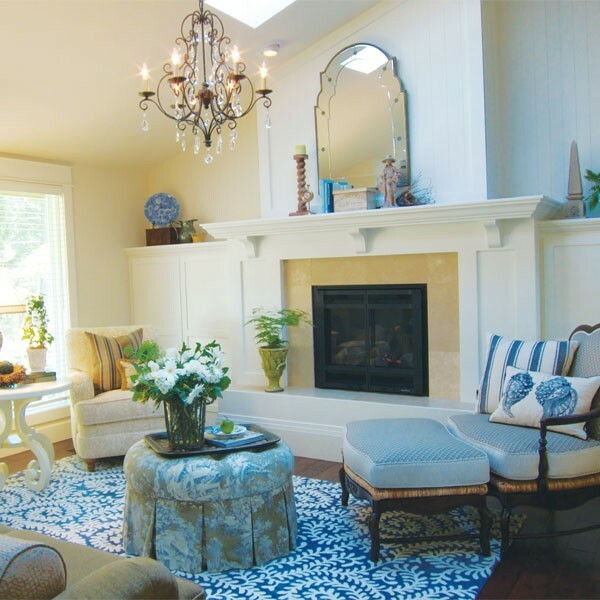 The design duo focuses on delivering peace of mind, which extends to the type of products sold in their showroom in Sumner. “We don’t allow anything in the store that we would not want to take home with us,” says Pudists. They carry a number of items made exclusively in the U.S. and also items that are good for the home and the environment, such as clean-burning candles. With a long list of satisfied clients and more in the works, this team is making serious style happen in the local design arena. Stop by the showroom in Sumner or check them out online.